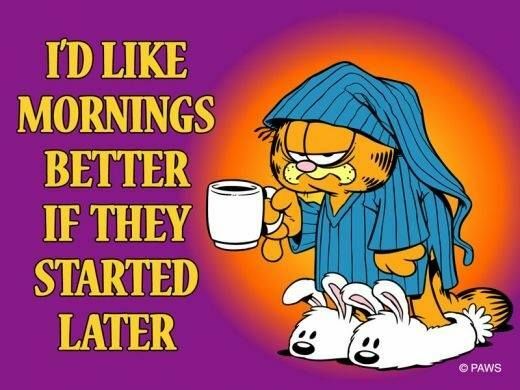 Do you know why Garfield hated mornings? Because no one ever woke him with a dozen doughnuts. Don't let your friends and co-workers spontaneously turn into Garfield, because that's possible, maybe. It would be horrible, if it was a thing that could happen. Instead, bring them doughnuts and avoid a totally hypothetical tragedy. 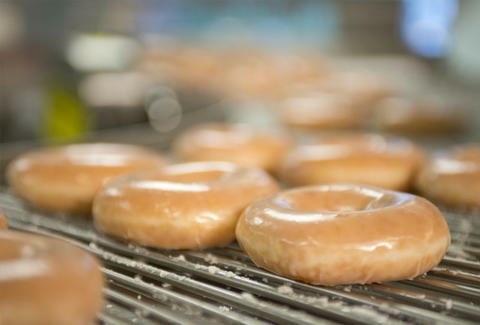 Krispy Kreme is going to help you get those sweet high fives from your co-workers. On December 15, which is National Ugly Sweater Day, the doughnut shop is hosting a buy-one-get-one deal on a dozen doughnuts. Buy a dozen, have the cashier hand you a bonus dozen. It's a high-five inducing exchange. Unlike similar Ugly Sweater Day deals, you don't need to bust out your ugly sweater to get the deal. You just have to show up at a participating location in some clothes. The glazed doughnut purveyor has a full list of participating locations in the United States and Canada at its website. If you're in New York, you can maximize your doughnut intake by stopping by The Doughnut Project early in the morning to snag a free port-flavored doughnut from the shop's collaboration with Fonseca Port. Landing a free dozen ought to help you get over your FOMO if you missed out on those one-day only gingerbread doughnuts Krispy Kreme offered earlier this week.